When you arrive at the Lima airport, our representative will be waiting for you by the exit of international arrivals with a Native Paths sign. Lima, the capital of Peru housing 10 million people, is no different than any other big city that lives 24 hours a day. There are lots of people, traffic, noise, lights, casinos and malls. However, as you drive through the city on the way to your hotel, you pass through more affluent and quiet neighbourhoods like San Isidro and Miraflores. It is in Miraflores where your hotel is located. Our representative in Lima transfers you back to the airport in Lima to catch your flight to Puerto Maldonado. The jungle city of Puerto Maldonado is the starting point for this 4 day/3 night stay in the rainforest. Our boat takes us to the Ecolodge in three hours. This river journey is our first introduction to the rainforest, and upon arrival, you are invited to enter the forest you saw from the boat with a local naturalist guide. After your introduction to the jungle, you have time to relax and enjoy the atmosphere of the Ecolodge. Today’s 4 hour boat ride upriver takes us deep into the National Reserve to an isolated clay lick where macaws, parrots and fauna tend to gather in huge numbers. After arrival at our camp and a good lunch, you have the afternoon free to explore the area’s forest trail system, and be able to spot wildlife in the company of your naturalist guide. Today we begin before dawn, as we need to get into position before the birds arrive at the clay lick. Surrounded by typical rainforest flora, this riverbank is visited by parakeets, monkeys, deer, tapir, and peccaries, but it is the colors and sounds of all the different species of parrots and macaws that make this such a dramatic spectacle. In the late morning, we return to the Ecolodge for lunch. In the evening, we search for nocturnal species along the river. You leave the Ecolodge early in the morning for the return by river to Puerto Maldonado. The boat ride backs give you more time to enjoy some sights along the river back to Puerto Maldonado. Upon arrival at the Cusco airport, you meet your guide and transport to take you to the historic centre. During the drive you see examples of Spanish colonial architecture raised upon the foundations of ancient Inca palaces and temples. At 1:30 PM, your afternoon tour starts with the company of your guide who shows you some of the world’s best archaeological sites in and around the city. Your tour includes sites such as the Cusco Cathedral in the Plaza de Armas and the fabulous Temple of the Sun or Qoricancha, the heart of the Inca Empire. You also visit the spectacular ruins of the Sacsayhuaman fortress that overlook the city, as well as the ruins of Q'enko, Puka Pukara, and Tambomachay nearby. In the late afternoon you return to your hotel, and later enjoy a welcome dinner in a fine restaurant downtown. Today you meet your guide at your hotel at 8 AM to travel south of Cusco to one of the less visited historical sites in the area, but nevertheless rich in Pre-Incan archaeology. This tour also takes you past beautiful natural landscapes, such as lake Huacarpay. The other Inca sites you visit are the water engineering wonder in Tipon, , pre-Inca Wari architecture in Pikillaccta, and a beautiful chapel known as the "Sistine Chapel of America.” On the way back to Cusco you can enjoy samples of typical Cusqueno meals such as guinea-pig (cuye), chicharron (pork), chicken soup, in the towns of Tipon or Salla. Your guide meets you at 8 AM in the lobby of your hotel to begin your exploration of the beautiful Peruvian countryside. You have a full-day tour of the magical Sacred Valley, home to several royal estates of Incan emperors. 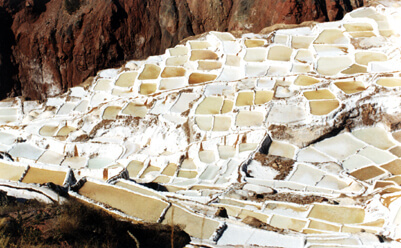 First, you visit the town of Pisac, famous for its bustling indigenous market and the impressive Incan ruins on the hillside overlooking the city. In the market you have the opportunity to browse all of the handicrafts and Andean garments displayed for sale as well as local fruits, vegetables, and other natural products. While at the Pisac ruins, you wander through walls and palaces of spectacularly cut stones, while enjoying a stunning view of Pisac and the Sacred Valley below. Following your visit to Pisac, you stop for a lunch buffet at a restaurant offering a variety of Peruvian and international food near the town of Urubamba. After lunch, you visit the remarkable Inca fortress of Ollantaytambo. This magnificent archaeological site clings to the hillside and overlooks the small town of Ollantaytambo. The town still has Inca houses at its base, making Ollantaytambo the only Inca city that is still inhabited today. In the late afternoon, you are taken to your hotel in the Sacred Valley. After breakfast at your hotel in Sacred Valley, you take a train before 7 AM to get to Machu Picchu, the hidden Inca citadel. This hour-and-a-half train ride takes you along the Vilcanota river, with amazing changing views of the Andean landscape as the train descends from the high lands down through the cloud forest. Once in Aguas Calientes, the town at the base of Machu Picchu, you are accompanied to the bus station for a 25-minute bus ride up to the Machu Picchu citadel. Then, you have a 2 hour tour with your guide that takes you through the most important sites in Machu Picchu such as the Intihuatana (Sun Stone), the Sun Temple, The Temple of the Condor, the Inca Bridge, and many other buildings. In the late afternoon, you take a train back to Ollantaytambo and then a bus to Cusco where you are transferred to your hotel for the evening. Today we you have the opportunity to enjoy the day at your leisure. With so many restaurants and souvenir shops, Cusco has so much to offer you. You can also enjoy a stroll up to the old San Blas neighbourhood with narrow paved streets that remind us of the old set up of the city. After breakfast at your hotel, you meet one of our representatives to take you to the airport for your journey home or on to your next destination. If you are headed to Lima (connecting flights are late night to USA), you meet another one of our representatives at the airport to take you on a city tour. You are guided through the colonial town and enjoy a late lunch in a fine restaurant before you are transferred to the airport for your flight home. The Lodge selects safe and appropriate riverside locations for its campsites. The equipment provided for our guests during itineraries that include camping excursions includes tents for sleeping, mattresses, sleeping bags, sheets, pillows, towels and biodegradable soap. In addition, a dining tent is provided and equipped with folding tables and chairs. Candles and lamps are used at night to light the campsite. Typically, the latrine tent is erected around 30 to 40 meters from the main campsite; this is a modern, biodegradable chemical toilet tent. Guests are provided with a bowl of warm water and a towel for washing in the morning. All meals are cooked and served by our staff during camping trips. A balanced diet is offered, and vegetarians and vegans can be catered for. The campsites selected are located some distance from the macaw clay lick to avoid disturbing birds and other wildlife at the lick. The personnel accompanying guests on camping trips includes a bilingual guide, chief boatman, helmsman and cook. All waste is returned to the Lodge for proper disposal.